That’s great I guess for some people. For me, Tracker is a massive pain as I have a lot of files, some of them huge and a lot of them being binary files (think images and photos, music files, videos, LibreOffice files, PDF documents, etc.) On my Fedora Linux installation, which is now running in a virtual machine on a brand new MacBook Pro, the Tracker extractor and indexer uses a lot of CPU resources. Too much in fact for something that I never ever use. You see, I am an “informatician” (i.e. a computer scientist — a very bad designation — think calling a surgeon a scalpel scientist) and, as such, I make it a must to properly save all my files in folders and subfolders. I also name the files very consistently with dates, sensible use of words, etc. for proper sorting and, hence, searching. So I don’t need Tracker as I pretty much can narrow down to the single file I need in a few seconds. gsettings set org.freedesktop.Tracker.Miner.Files ignored-files "['*']"
Quake was born when Christina and I were studying in France in 1996. Like most people we knew, we fell in love with the game: the graphics were amazing (and we even bought a 3dfx Voodoo 2 to run it), the audio was great and the atmosphere phenomenal. As a matter of fact, Quake is one of the few games I completed. I ran it on Windows 95. 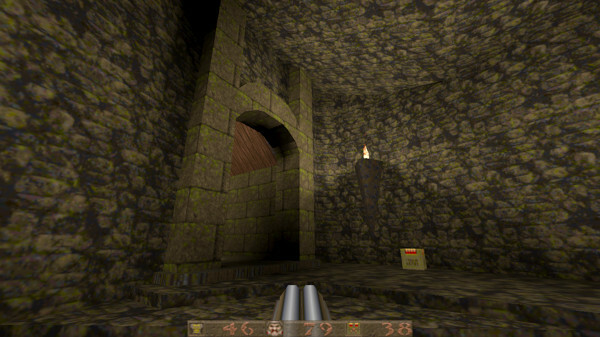 From there, I quickly discovered that, since Quake was released as open source software in 2012, a number of people have embarked on correcting bugs and enhancing the Quake engine. According to Quaddicted (and who am I to disagree! ), the best engine for Linux is Quakespasm. I quickly downloaded it and found an executable called quakespasm-sdl2 which I quickly ran. I got an error message telling me that a folder id1 was not found. I remembered having zipped my Quake installation years and years ago and, because I am a very methodical guy, took only 5 seconds to find the ZIP. It had the id1 folder in it which I quickly copied to the Quakespasm folder. I got the Quake music. I ran quakespasm-sdl2 again and, lo and behold, Quake started in all its glory. I quickly selected the full screen option and opened a save game from decades ago and it worked! This is what you can see in the top screenshot. While reading Quaddicted, a stumbled upon Quake Injector, a tool written in Java which allows you to easily download and run 3rd party maps in Quake. 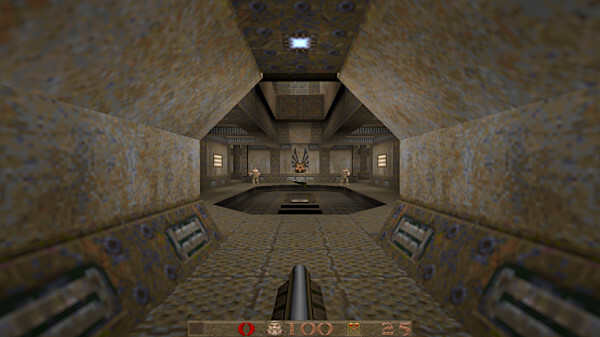 Think maps as levels, distinct from the Quake default levels, but as great and sometimes greater to play. 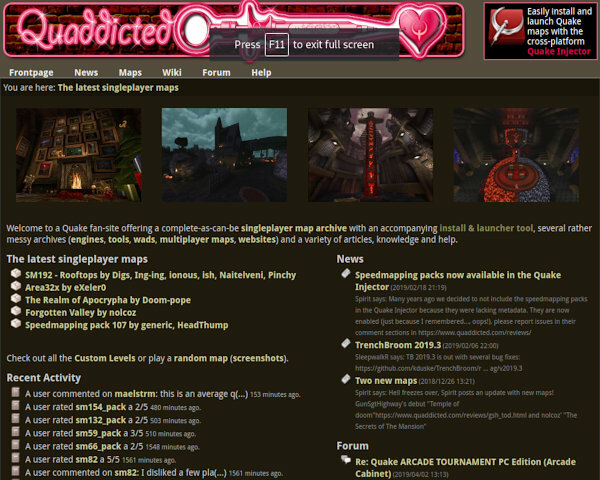 As soon as Quake Injector started, I installed the very highly rated DaMaul6 map and this is where I am now. Wish me luck as DaMaul6 is known to be very difficult. I generally work on my laptop, an old Dell Inspiron 15 still running Fedora Linux 29 quite well. At home, I also tend to work on an Apple iMac (still) running macOS El Capitan (which I intend to upgrade to High Sierra soon — unfortunately, Apple has decided that this iMac cannot run Mojave). Since the very beginning, I needed to have a proper file synchronisation process for these two computers and cloud solutions such as Google Drive or Dropbox were not options as I had many many Gigabytes to synchronise and this would have been very expensive to be done online. For 1-2 years, I used Unison, a file synchronisation utility written by one of my Computer Science heroes, Benjamin Pierce, author of the quite renowned book “Types and Programming Languages” which, I have to confess, I have not yet read because, well, I never had the chance to stumble upon it. Anyway, Unison is a tool which does two-way synchronisation between computers and every time there is an inconsistency (a new file, a deleted file, a change, etc.) ask the user to manually choose on the action to make. One important of Unison is that one has to run it manually i.e. the synchronisation only happens when initiated by the user. For example, I like to run Unison every afternoon when I get back home after one day of work. One year ago, I stopped using Unison. The reason was that I wanted to have real time synchronisation between the two computers i.e. as soon as one changes, the other one is updated (if on of course.) I settled on Syncthing. I tried two different ways of using Syncthing (with a central repository or in peer-to-peer mode) and both worked as expected. But after one year, I have to say that I have two issues with Syncthing. First of all, changes are detected through the inotify mechanism provided by Linux and the macOS kernel. As soon as a file is changed, Syncthing knows about it and can propagate the change to the other computer. All good in principle. But this also means that all errors (a file deleted by mistake, a file overwritten by mistake, etc.) are also immediately propagated. So I used different kinds of versioning techniques to make sure that backups are kept in these situations. But, nevertheless, I slowly realised that real-time propagation might not be a good idea. The second issue is that Syncthing uses a lot of CPU. Two days ago, I stopped the Syncthing service on all my computers and revived my Unison installation. And, believe it or not, Unison works great for my use case: I can synchronise my computers when I want (after work for instance) and I have the possibility (if there are incoherences) to think deep about which version to keep. For me, and because my files are very valuable to me, this is a much better process. What about you? What do you use for synchronising multiple computers when cloud synchronisation is not possible? Do you use Unison? Syncthing? Something else? Why? The Apache HTTP Server, colloquially called Apache, is a free and open-source cross-platform web server. This article explains briefly how to set up Apache as a reverse proxy to a web site in an internal network. To set the expectations in this article. I'm not going to explain you how to install Apache web server or how to get it operational on your system. There are thousands of tutorials including my own Accessing your web server via IPv6 on the Internet that already cover that step. In case more information about the configuration directives used below is needed, I recommend to consult the official documentation of a particular keyword. I have a web site running on a system in an internal network. This could be either a full-fledged Windows/Linux server or an IoT device running on a single board computer (SBC), like i.e. a Raspberry Pi, an Arduino, ESP8266 chipset. Now, I want to enable access from the Internet to that internal server using Apache. Additionally, to hide any reference to the system on the internal network it is required to specify the directive ProxyPassReverse to modify certain HTTP header values in the response, and use the proxy data instead. Following is a working example of how to set up a virtual host in Apache that provides reverse proxy capabilities. 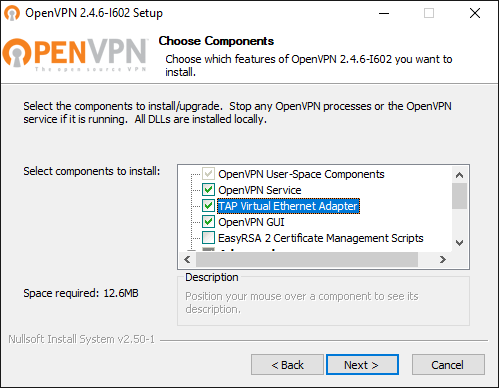 The host system on IP address 10.0.240.4 is part of an OpenVPN infrastructure and therefore accessible from the proxy system. No problem with Apache. You can configure and run as many reverse proxies as would like to. One has to pay attention to avoid overlaps either via ServerName directive or by using different port numbers to bind to. Although I have only one reverse proxy running on Apache I configured multiple scenarios using nginx. More details are described in Using nginx as reverse proxy. Do you have any interesting use cases or active configurations of Apache as reverse proxy? If yes, please use the comment section below give me and other readers more details. Thanks! Nginx (read: engine-x) has versatile options to set up web sites and more advanced configurations. This article explains briefly how to set up nginx as a reverse proxy to a web site in an internal network. Now, I want to enable access from the Internet to that internal server using nginx. In order to set up the solution you need to have a public facing web server on the Internet. Most probably it already runs nginx to serve your web site or blogging software. Which will then install nginx web/proxy server and all its dependencies on your server. Now, we have an operational installation of nginx on our Internet-facing system. We are going to create a new configuration file that defines the necessary proxy information to access our service on the internal network. First create a new file below nginx configuration folder using your preferred text editor. The file name should be relevant to either the kind of services or the system that you are going to shield using nginx as proxy. That is the minimal configuration you would have to specify in order to run nginx as a reverse proxy to a system on your internal network. The given IP address needs to be accessible from your public web server, i.e. 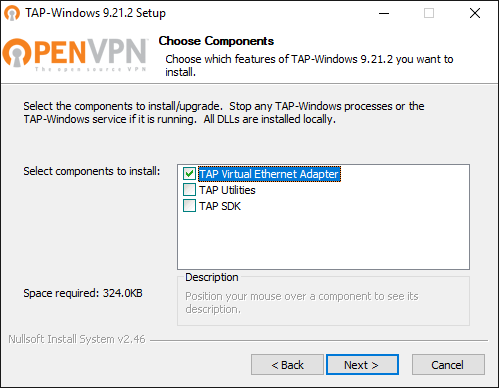 using a VPN infrastructure based on OpenVPN. After saving and closing the new nginx configuration it is time to enable and check the syntax for any errors. To enable an available configuration you need to either place it or link it into the folder sites-enabled of nginx. [ ok ] Testing nginx configuration:. [FAIL] Testing nginx configuration: failed! Only when all problems have been resolved and you have a positive response from the configtest you should restart the nginx service. The change in our configuration file now assumes that I have a DNS server running on the local machine which knows how to handle and resolve the specified domain name rasp01.local. Again, this article covers the basics of reverse proxying using nginx only. 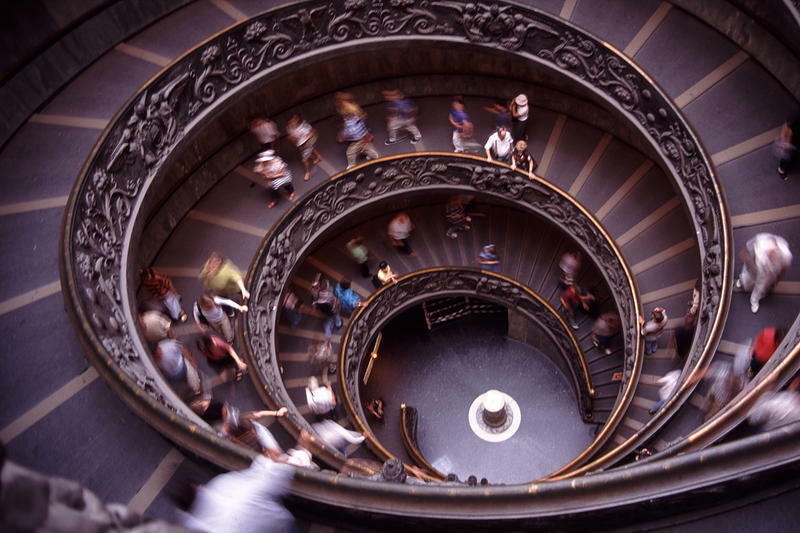 There are more interesting scenario like setting your own DNS server on the internal network to provide public access to an internal resource. 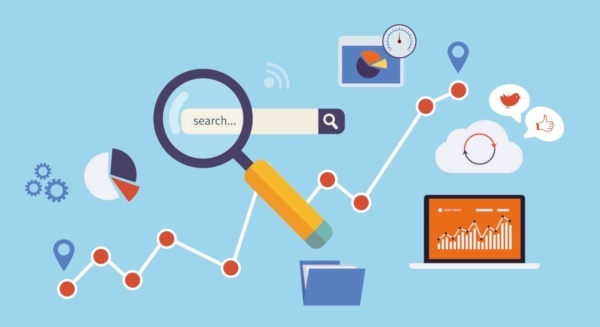 Perhaps, you might want to proxy an existing service with your own custom domain, in case that the service provide does not offer this option. Using a public DNS server like Cloudflare's 1.1.1.1, Google Public DNS (8.8.8.8), or OpenDNS as resolver should give you some ideas. Let's take the following scenario into consideration. Your internal resource might not be configurable with an SSL certificate but you would like to enable HTTPS protocol communication from the Internet. Setting up nginx with an SSL certificate is well-documented and to combine this with the above described proxy features is a breeze to achieve. Following you will get a more complete configuration file based on the previous example, now SSL-enabled using a Let's Encrypt certificate. The specified SSL options in regards to protocols and ciphers are an arbitrary choice of mine. If you have suggestions on how to improve the SSL setup, please leave a comment below. Eventually the http2 directive might be an issue. Either check that you are using a recent version of nginx that has HTTP/2 support backed in or remove the value from the listen directive in the configuration file. No problem with nginx. You can configure and run as many reverse proxies as would like to. Right now, I think I have three or four proxies running. Interestingly, one of them is an older set up based on Apache HTTPd which I'm going to write about in a separate article. Do you have any interesting use cases or active configurations of nginx as reverse proxy? If yes, please use the comment section below give me and other readers more details. Thanks! Recently I decided to coordinate my work and learning activities a little bit. Turns out that while working with .NET Core, in particular developing an API project, I do quite some coding under Linux using Visual Studio Code. During office hours I'm fully emerged into Visual Studio 2017 running on my Windows 10 machine but often I'm reviewing and tweaking some of my code during the evening hours on my secondary Xubuntu system. The story about me using Linux goes back two decades. Actually, if I remember correctly it happened some time in summer of 1996 when I officially purchased a copy of S.u.S.E. Linux 4.2. At that time I was still studying Applied Chemistry at the University of Kaiserslautern and the Unix AG on the campus offered copies of Slackware among others for free; you only had to bring the empty CDs to get the software burned on. Note: The Unix AG was founded and still is run by a group of students and assistants in the field of computer science. And at that time there was a nice fellow named Klaus Knopper, famously known for his Linux distribution Knoppix. Apart from attending lectures and running experiments in the chemistry laboratory I spent a good amount of time in the university's computer labs, too. Over there you had access to graphical XTerminals running on AIX Unix compared to the regular ASCII terminals anywhere else on campus. The two reasons I bought a copy of S.u.S.E were because I wanted to set up an internet gateway at home which I was not able to do so with Windows NT 4.0, and because the distribution was bundled with several books on installation, network configuration and Linux in general in German language. So, I started the initial installation on a Friday afternoon, worked through the whole night reading and configuring the system several times, and slept only a few hours over the whole weekend. Finally, on Monday morning after several attempts and lots of swearing/ranting over my own incapabilities I managed to run a working internet gateway. Dialup happened over ISDN on my freshly installed Linux computer while my parent's system running Windows 95 was attached to the 10base2 thin Ethernet network. Eventually you might be aware of the situation that Microsoft is actually using Linux technology to run its cloud solution named Azure. Yes, they do... According to an article Whoa. Microsoft is using Linux to run its cloud published on Wired back in September 2015 it is referring to an official blog article by Microsoft. Get more details about the Azure Cloud Switch in Microsoft showcases the Azure Cloud Switch (ACS) by Kamala Subramaniam Principal Architect, Azure Networking. It [note: The Azure Cloud Switch (ACS)] is a cross-platform modular operating system for data center networking built on Linux. Nonetheless, I would assume that the main interest would be to run and operate Linux machines in Azure. According to Microsoft says 40 percent of all VMs in Azure now are running Linux we are in good company with like-minded system operators. What better than combining two technology stacks? Although, I work on Windows systems during my day job, Linux plays a vital role. Our internet gateways are based on a designated Linux system which handles all internal traffic and provides access to the internet by providing essential services like DHCP, DNS, proxy and so forth. Services the standard router provided by a local ISP might not be capable of or with serious security concerns. Using Azure to provision a Linux-based virtual machine takes less than 5 minutes and there are various options available. I'm a big fan of Xubuntu but to prepare myself for MCSA: Linux on Azure I'm going to need a CentOS based system. So, instead of taking resources on my local machine using a virtualisation software like VirtualBox or VMware I'm going to entertain a Linux VM on Azure. It's more convenient after all. Combining both technology stacks into one sounds almost like a dream coming true for me. Using Linux has always been a passion and fun factor for me and being able to add it more and more to my professional services brought me to the decision to look into the benefits and requirements of Microsoft's MCSA: Linux on Azure certification. You might have noticed that it is not purely a Microsoft certification but integrates the work of the Linux Foundation. Interestingly Microsoft officially announced during the Connect(); 2016 that they joined the Linux Foundation as a Platinum Member. Which literally made the Linux on Azure certification possible. Our membership to the Linux Foundation builds on our work with the foundation, including the creation of a Linux on Azure certification. Exciting times, don't you think? Both, Microsoft and the Linux Foundation, offer details about the skill sets being measured during the exams. The Microsoft exam 70-533 is based on the usual multiple choice format. Compared to that the LFCS is performance-based. Candidates will need to perform tasks or solve problems using the command line interface in their chosen Linux distribution. Meaning, you connect to an actual Linux system - running either CentOS 7 or Ubuntu 16 (as of writing) - and you have to get your "hands dirty" in order to qualify. Check out the section Optional training and resources on the official LFCS website. The Linux Foundation provide free material like their Certification Candidate Handbook, their Certification Preparation Guide, and their LFSx01 courses online. In similar fashion Microsoft lists multiple resources in the Preparation options of the exam 70-533. The online training is accessible for free through the edX platform and are part of the Microsoft Professional Program in Cloud Admin, too. Using the same preparation material gives you the ability to achieve a second accreditation. Perhaps you are interested to read more about the Cloud Administration professional program. Having an active, annual subscription with Pluralsight I browsed through their learning paths and discovered Pluralsight Path to MSCA: Linux on Azure. It's a combination of several courses provided by experts John Savill and Andrew Mallett. More resources will be added regularly to my 100-days-of-exam repository on GitHub. You are hereby invited to fork it, to add more resources including other exam preparations, and to send me your pull requests (PRs). To keep myself accountable I am committed to the #100DaysOfExam challenge. I will learn and prepare for an exam for at least an hour every day for the next 100 days. Following the Rules section of #100DaysOfExam I will tweet about my progress using hashtag #100DaysOfExam and I will update my Log with the day's progress and provide a link every day, too. Although our children have access to computers at home since a while already it is the curriculum of their primary school in regards to IT literacy that lead to this blog article. The title "Let's Learn ICT Skills" by the Mauritius Institute of Education (MIE) introduces Computer Fundamentals and Operations to young learners at primary school level. 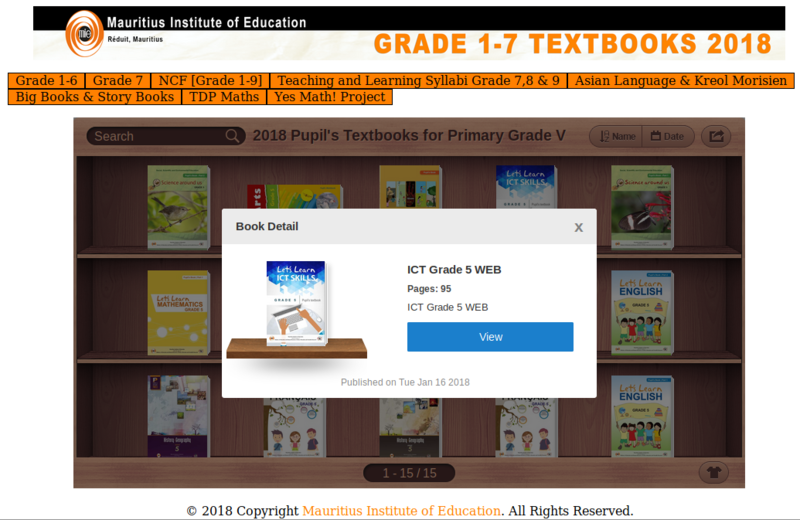 The textbook is divided into six units and covers first steps into the world of ICT. Starting with an orientation in Windows the title discusses the essential use of typical desktop applications to handle word processing, to introduce simple graphics and presentation skills, to cover basic functionality in spreadsheets and to venture into the unknown areas of the interweb. Each chapter has different learning objectives and introduces elementary skills in various applications. To keep matters easy the textbook is focused on Windows operating system and the Microsoft Office suite. Which in general and most commonly okay for the majority of primary school students. As a parent it is not easy to trust a full-fledged computer into the hands of your youngster(s) without fearing the whole system might be infested by viruses, malware and ransomware in shortest time. Especially given recent reports on various problems. Following my decision to provide our kids with family-friendly and security-enhanced tablets running on Amazon's Fire OS compared to regular Android, it was only right to provide them a similar experience on the desktop. At least in my point of view. Personally, it was important for me to have peace of mind knowing our children are using Linux based system. Don't get me wrong Microsoft has done a tremendous job to improve security over the last decade. It's just that I didn't want to purchase a new laptop for them and Linux runs just fine on older hardware. Instead of upgrading the available HP laptop from Windows Vista Business to latest Windows 10 I decided to install Xubuntu 17.04 originally. Some weeks back, I then upgraded their machine to Bionic Beaver (version 18.04) already, and they can "beta-test" the upcoming Ubuntu LTS version. After all, as more and more software is moved towards web applications it really doesn't matter anymore whether Firefox is run under Windows or Linux, does it? Additionally, they have access to LibreOffice, GIMP and other educational software packages like GCompris, and so forth. Well, the children's exercise book is explicitly covering Windows, some applications of the Microsoft Office suite as well as Paint.net - software that isn't available on Linux out of the box. Of course, there is no golden solution to this situation and multiple possibilities are given. All depending on circumstances, personal taste and eventual hardware constraints. Following, I would like to give you an overview of options - all of which I already used successfully in the past. This might come first in someone's mind and I have to agree with that. Installing a virtualisation software like Oracle VirtualBox, VMware Workstation or even qemu can be done easily and the the actual experience can be seamless. In our situation though is the existing hardware with a previous generation CPU and 2 GB RAM only the limiting factor to this approach. Emulation software like wine or CodeWeavers CrossOver eliminate the necessity to install and run a complete virtualisation solution. The software provides an abstraction layer of native Windows API functionality and allows to install and run Windows software like the Microsoft Office suite among others directly on a Linux machine. Luckily, the hardware wouldn't be the limiting factor but I have to confess that it is my laziness to opt-in for this viable approach. Also, the first chapter in the kids' literature - Getting familiar with Windows - wouldn't be possible for them using this approach. Last but not least, providing remote access to an existing instance of a Windows system seems to be one of the easiest options. Here, the kids get to experience Windows directly and it doesn't need any resources on their Linux system. 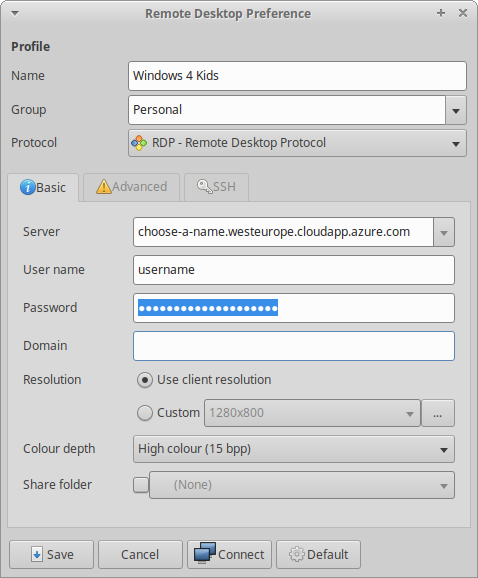 Using a software package like rdesktop or remmina enables a Linux user to connect to a Windows system via Remote Desktop Protocol (RDP). So far so good, but I'm not interested to provision a dedicated machine for this purpose at home. The system would be idle most of the time and consume a good chunk of electricity instead. As mentioned earlier I have used all those approaches successfully, and it is good fun to tinker around with them. But those are most likely options for an adult and not really suitable for a child attending primary school. Taking the pro aspects of each of the approaches earlier I decided to provision a virtual machine running Windows 10 Professional in the cloud. Access to that machine is available using RDP and in regards to hardware constraints it requires an internet connection only. Local network: I can control at any time whether the kids' laptop gets access to our WiFi network or the internet based on simple authentication and routing configuration. 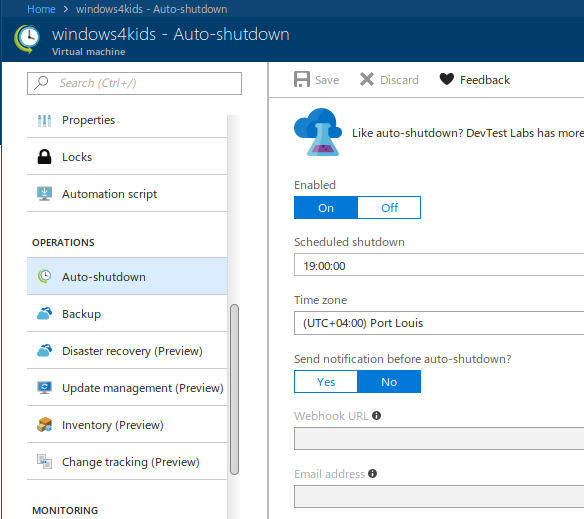 Operating times: A virtual machine in Azure is fully controlled through the Azure portal. I can decide when the VM is running and when not. 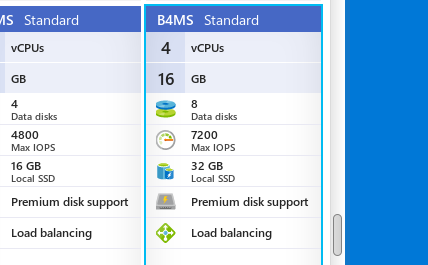 Hardware on demand: Provisioning hardware to the VM on Azure is just a few clicks and a reboot away. 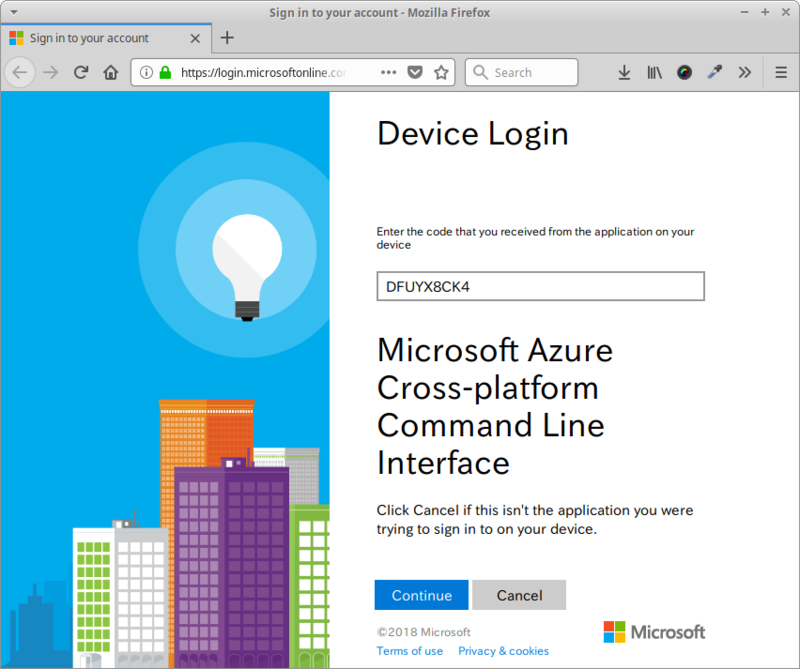 Data exchange: Synchronisation of files between the local Linux laptop and the Windows machine in Azure is based on cloud storage providers like OneDrive, Google Drive, Dropbox, etc. Meaning backup of files is integrated and additional devices like their tablets can be added easily. Later on, if the VM isn't needed anymore or in case the children totally messed it up I don't have to worry about anything. The VM gets decommissioned and can be provisioned again within minutes if needed. I chose a (hopefully) decent hardware setup running the virtual machine on a Standard B4MS (4 cores with 16 GB RAM) tier. This should be sufficient enough for Microsoft Office, Paint.net and Firefox. Also, I activated the Auto-shutdown feature which restricts the use of the system until a specified time, and helps me to save a heap of money, too. The main purpose of that VM is to allow the children to follow the exercises and steps in their school book. At the given time the system simply shuts down, and it's dinner time in the off-line world. Now that we know how to stop the VM we should have a look about how to start it. There are multiple choices available. 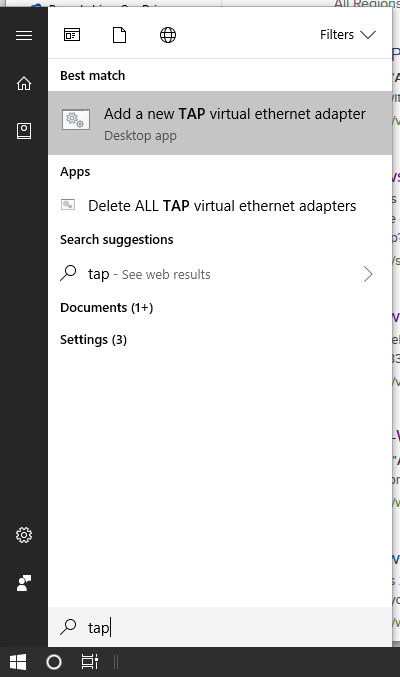 Most obvious you can launch the virtual machine via the Azure Portal itself. Nothing surprising here. Next, Microsoft offers the free Azure mobile app for Android and iOS to stay connected to your Azure resources. 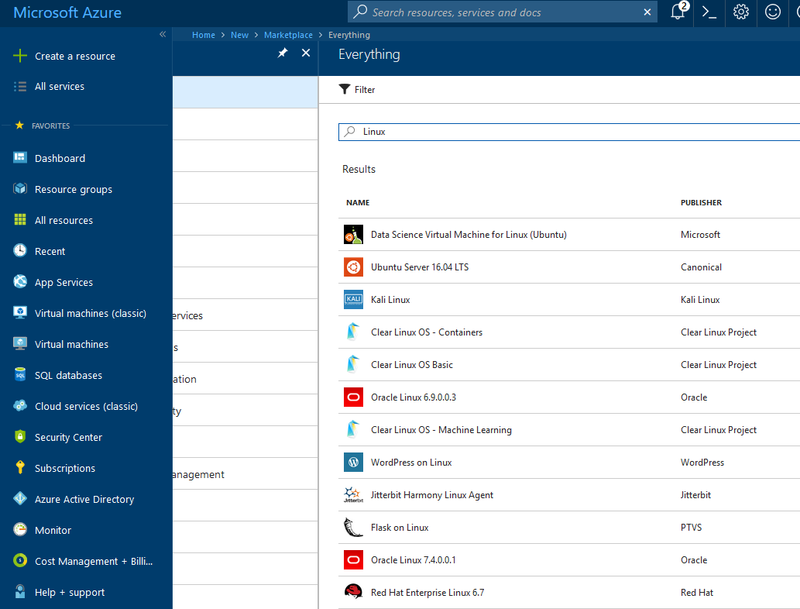 This is quite neat to manage, monitor and operate Azure on the go. 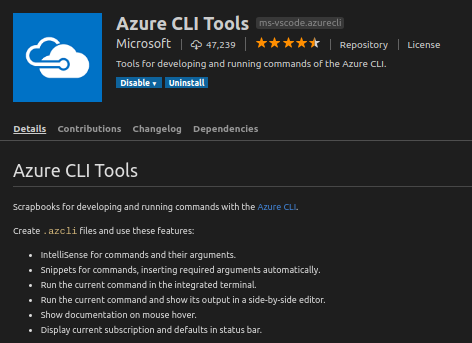 And then there is azure-cli - the Command-line tools for Azure - which gives you the next generation multi-platform command line experience for Azure. Welcome to the cool new Azure CLI! Usually, I have Visual Studio Code open almost the whole day and starting the kids' virtual machine is done using the Azure CLI Tools extension. Windows machines on Azure are accessed via RDP and Linux has a variety of client applications for that protocol. In the portal you should assign a static domain name to your VM as the public IP address is most likely to change between daily uses. The portal allows you to download the Connect parameters as a .rdp file that you can open in any text editor on Linux. Using the details from the .rdp it is possible to set up a new connection in remmina for future use. I'm storing the password to keep it simple for the children to access their new Windows machine. Now, remmina is configured to start automatically after they logged into their account and the Windows VM on Azure is easy accessible via shortcut from the system tray area. Microsoft gives new sign-ups on Azure an initial credit that allows you to explore the various options and get yourself familiar with the available resources. Why don't you give it a try? And I am happy to notice that, except for one or two stands, things are much more “Informative and Restrained” compared to previous editions where things tended to be “Superficial and Flashy”. 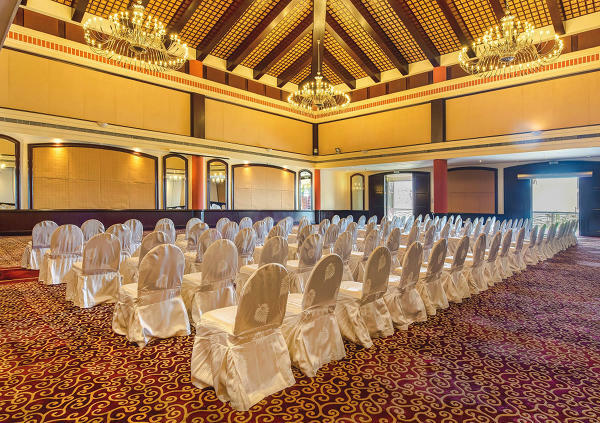 In Mauritius, for the past few years, we have become a nation of seminars, workshops, conferences and exhibitions and, unfortunately, many of them are quite superficial and very very flashy indeed. For the past six months, I have been to many such events where the venue was beautiful (a nice hotel with a beautiful view of the lagoon), the food was excellent, the hostesses out of this world but where, personally, I felt that there was not much to listen to and learn from, except from a minority of the speakers. This is what I call “Superficial and Flashy”. What I would prefer to have, from a personal point of view, is the kind of chaotic geekish meetup as pictured above. An event where intelligent people of all horizons can meet, exchange views, share ideas and move forward together. Of course, there is a need for a venue and some food but nothing ostentatious. This is what I call “Informative and Restrained”. The thing is that it is easier to do “Superficial and Flashy” than “Informative and Restrained”. The reason for that is that to be informative, the speakers need to be of high-caliber and need to be properly prepared. 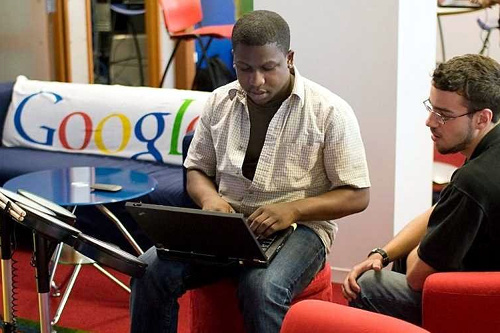 This is your typical Googler. Similar people are changing our worlds everyday at Google, Facebook, Amazon, Apple, etc. but also in the IT division of most of the companies in the world. And, before you laugh, let me remind you that they run the world. Pictured above are some of the people who have basically built the world as it is known today. Without them, we would still be waiting for The A-Team to be shown on TV on Saturday night. 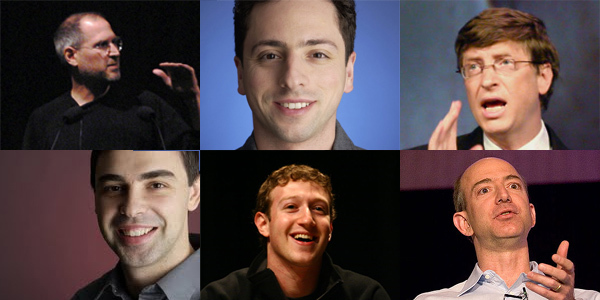 They are Steve Jobs (Apple), Sergey Brin (Google), Bill Gates (Microsoft), Larry Page (Google), Mark Zuckerberg (Facebook) and Jeff Bezos (Amazon). 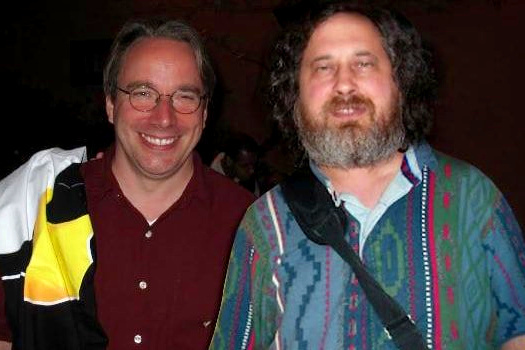 The missing ones being Linus Torvalds (Linux) and Richard Stallman (Free Software Foundation). 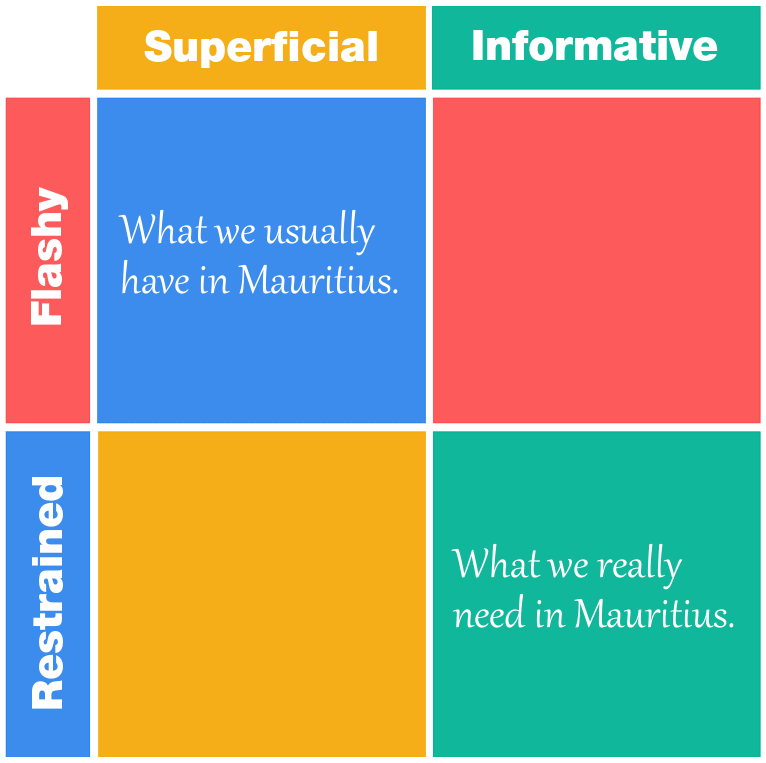 But we’ll have the 2nd best thing: the (real) innovators of Mauritius, each on his/her respective “Informative and Restrained” stand and willing to share his/her passion with you. You just have to put aside your tendency to value the “Superficial and Flashy”, walk toward them and talk to them. (First photo, courtesy of Le Méridien. Second photo, courtesy of Concept7. 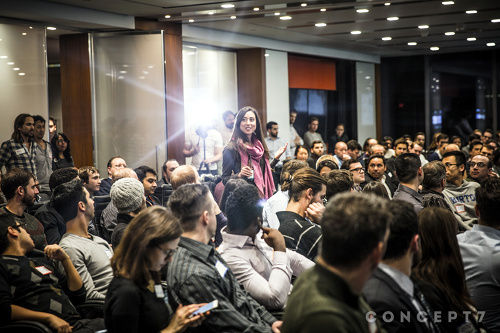 Third photo, courtesy of Business Insider. Fourth photo, courtesy of Youth Connect. Fifth photo, courtesy of PC Risk).